Hey guys! Happy Monday! I was so excited when I received this jacket in the mail because it was EXACTLY what I was hoping it was! Not to mention, it's only around $30 bucks! I was a little nervous because it's "one size" but it fits absolutely perfect! It's extremely lightweight which is perfect since we are technically still feeling some summer time temps in Texas. I am super excited about a "cold front" coming through at the end of this week which should drop our temps to the 70's! And this criss crossed tee is quickly becoming a favorite! I had my eye on it during the NSale but I let it slip through my fingertips. It's back in stock though and comes in a ton of colors! I can't wait to pair it with cardigans and jackets once it starts to actually feel like fall! I hope you guys have a great week ahead! I've been cooped up with bronchitis all week so I'm hoping this week brings me some feel better vibes! Very cute! LOVING those booties, what a perfect color! I love this edgy look! You look so cute. 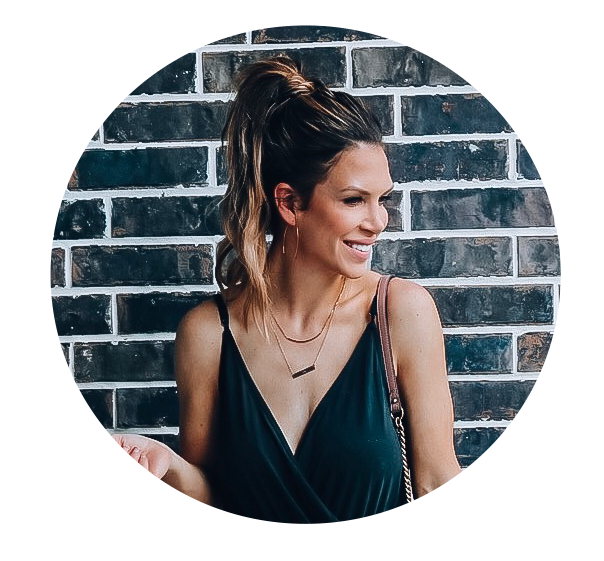 SHEin is so affordable and always has awesome stuff. I need this jacket in my life right now! I love that top! LOL- I like the white version! I am thinking about getting the black because I love it so much! The camo jacket is great too! I definitely want the black one too! I love both ways you styled that jacket!! I need to find a good utility jacket for Fall. Obsessed with this jacket! You're such a babe! 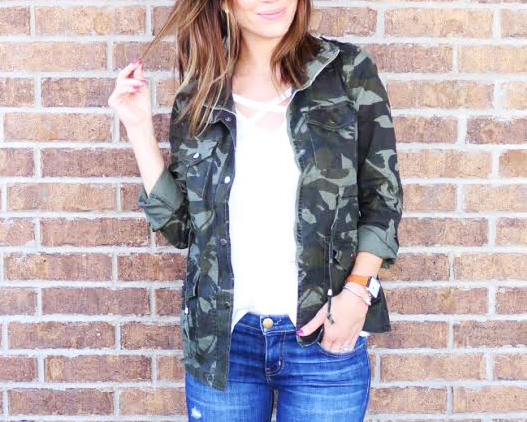 Camo is my absolute favorite- like 100% my favorite and you are dominating this jacket! So cute. Love it. This is SUCH a cute jacket!!! 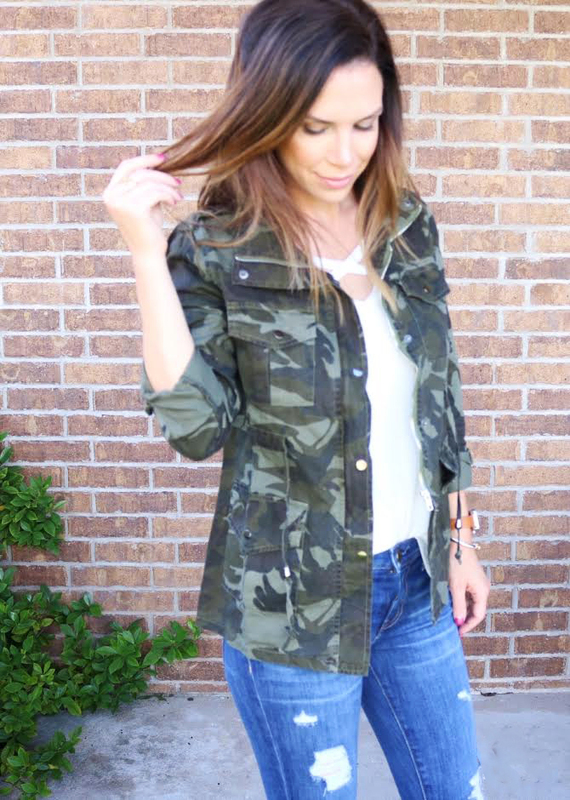 I have such a soft spot for camo but never feel like I can pull it off!! You pull it off wonderfully! That camo jacket is so cute! i love love this jacket! and those booties look so comfy! Love the camo jacket!! And those booties!! Super cute look!